Having learned how to use a camera in the Royal Air Force, McCullin’s photographic break came early in his career, when his pictures of a street gang, later linked with the murder of a policeman, were published in the Observer newspaper. This led quickly to assignments and his imagery projecting the realities of war, the lives of the dispossessed, the poor and the victims of corrupt politics found their way into the homes of those who were safe, reading their Sunday papers. He is recognised for these images, taken most notably, in Cyprus, The Congo, Vietnam, Cambodia, Beirut, Northern Ireland, El Salvador, Afghanistan, Biafra, Bangladesh and Uganda, and for his work at home, on the underclass of British society, his haunting landscapes and darkly luminous still-lifes. He has experienced, injury, imprisonment and real danger. He has spent a lifetime using his wits to survive and his instinct for being in the right place at the right time in order to document a story. He is extremely charismatic and speaks with an honesty and eloquence about his life and the conflict he has seen, that is both educational as well as entertaining. There is a fascination about his life, and at 82 years of age he is not only still involved with areas of conflict (he recently returned from Syria), but also with his haunting studies of the Somerset landscape, where he lives and other projects, such as his published work on the architecture of the fringes of the Roman Empire. He was Knighted in 2017 for his services to photography but could just as well have received the honour for his service of constantly telling the truth. Don Mccullin reports to RAF Cardington at the start of national service. After completing basic training at Wilmslow, he is deployed as a photographic assistant to RAF Benson, Oxfordshire, sorting Second World War aerial reconnaissance films. Volunteers for oversea service. Don McCullin is deployed to RAF photographic sections at Suez (12 months), Kenya (RAF Eastleigh, Nairobi, during Mau Mau Rebellion for 6 months), Aden and Cyprus ( RAF Episkopi). Fials written RAF photography trade test but purchases first camera Rolleicord 4, while in Kenya. Don McCullin is demobilised and returns to work at W.M. Larkin Cartoon Studios as a darkroom assistant. Don McCullin pawns his Rolleicord camera which is subsequently redeemed by his mother. Following the murder of a policeman by a London gang member, Don McCullin offers his photograph of The Guvʼnors to the Observer picture editor, Cliff Hopkinson, who commissions further photographs. Don McCullinʼs first photographic feature published in the Observer. 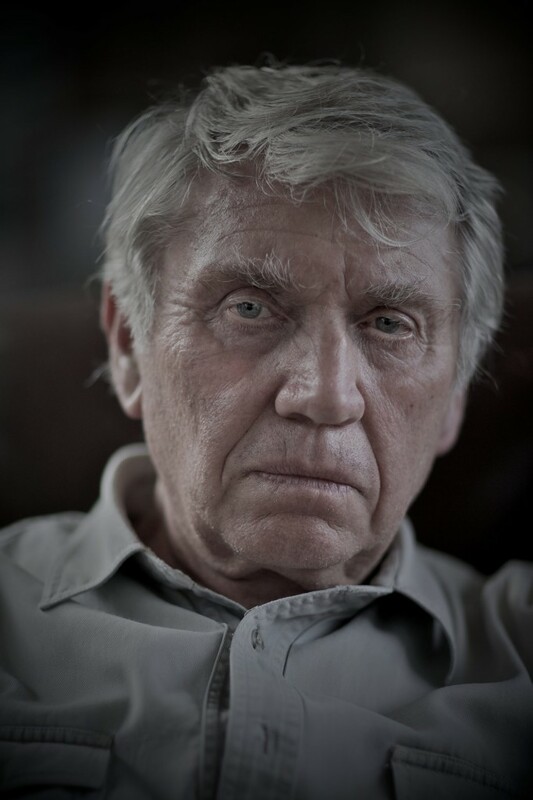 Don McCullin starts work as a freelance photojournalist, supplying material to News Chronicle, Town and the Observer. Don McCullin travels to Berlin (without assignment) to cover construction of Berlin wall. Photographs published by the Observer. Wins British Press Photography Award for Berlin work. Placed under contract as part-time freelance photojournalist for the Observer. Don McCullin covers protests against Cuban Missile Crisis and other protests by anti-war campaigners. Don McCullin travels to north of England during the harsh winter where he completes his first major photographic essay on the steelworkers of West Hartlepool. Don McCullin covers Congo disguised as mercenary, including the Stanleyville massacre. Don McCullin leaves the Observer to become freelance photojournalist for the Sunday Times. Covers the Vietnam war (the first of 15 trips to Vietnam) for the Illustrated London.